Ever since the reveal of the Nintendo Switch, none of the promotional materials featured more than two people playing on a single Nintendo Switch system. Even the live demos of games like Mario Kart 8 Deluxe and Fast RMX only featured two-player split-screen despite the Wii U versions supporting up to 4 players. This was baffling to me, especially when the Joy-Con Grip has 4 indicator lights on either side of it. However, a new Nintendo Switch commercial has finally shown Mario Kart 8 Deluxe being played with 4-player split-screen, and the best part is that it wasn’t using individual Joy-Cons. Each player was using pairs set in grips. In other words, you don’t actually have to use the individual Joy-Cons to play multiplayer games that require more than two-players, or even for two-players for that matter. 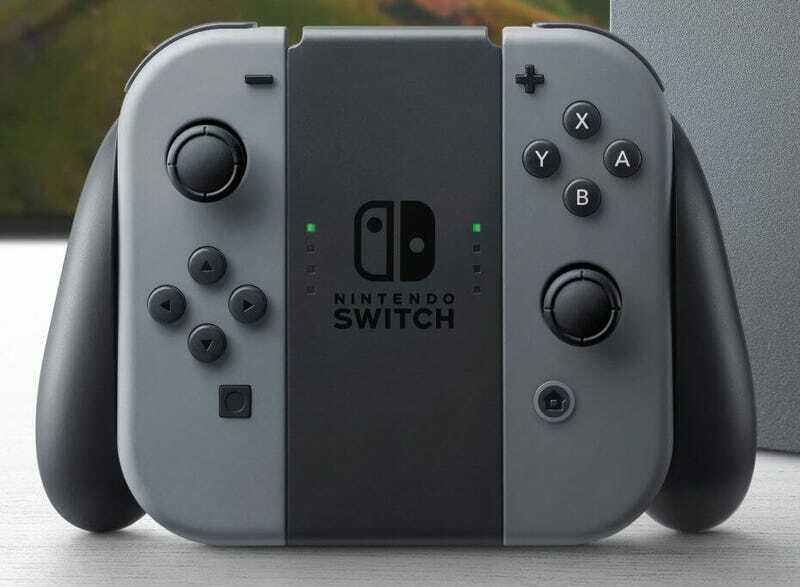 A lot of people weren’t big on how small the Joy-Cons are, and while people have said they’re actually pretty comfortable, even in the Grip, it won’t sway everyone. So having the option is always nice. Plus there’s another reveal from this: The Switch can support up to 8 individual Joy-Cons. Not sure how it handles that considering the Joy-Con’s only have 4 player indicators on them, though the Grip does have 8 lights it uses two to indicate a single player for some reason. But hey, eight player Smash might be possible again.